The beginning of November is a very important time in the cheese world as it marks the judging of the World Cheese Awards. This year the Awards were held in Bergen, Norway, as part of a new food festival, Matnasjonen Norge, and I was delighted to be asked to be one of the judges. I love going to these events, not just because it's a real honour to be asked to be a judge, but also because it's a chance to see and taste new cheeses as well as catching up with all the wonderful people in the cheese world. Everyone involved in cheese is so friendly and we all have so much to talk about with each other. There’s no cut-throat politics going on, everyone is keen to help each other and to promote all cheese, not just their own particular favourites. Cheese is such a phenomenal product and it is truly mind blowing to think that all of the cheeses entered into the World Cheese Awards simply started off as a vat of milk. I just love it! This year there were a record breaking 3500 cheeses entered into the awards, ranging from small, soft, fresh cheeses to large wheels of parmigiano reggiano, all of which were being judged by 235 judges from around the world. All the cheeses are split out over 78 different tables. Each table is then judged by a team of 3 judges who award bronze, silver & gold awards to the best cheeses that they taste. My particular table this year had a real mix of different cheese. We had some goat, some blue, some hard, some flavoured and some smoked cheeses so my taste buds got a real workout! 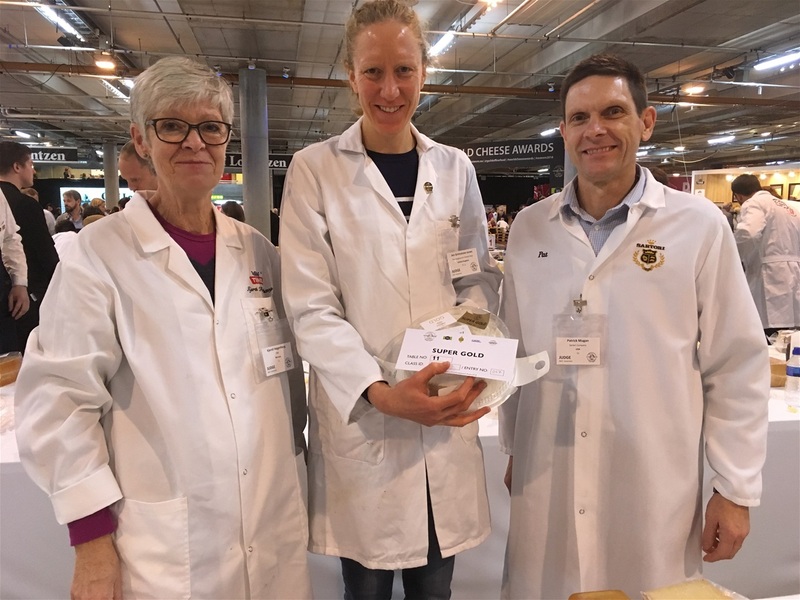 Once all the cheeses on your table have been given a score you then have to work out which is the very best cheese and that then gets given a super gold award and is sent through to the second round of judging. All 78 of the super gold cheeses are tasted by a team of 16 judges and they have to whittle them down to the top 16. These 16 then go through to the televised final where they are given a score out of 80. It’s an extremely thorough process and the cheese that comes out on top at the end of it really deserves to be the best cheese in the world. We've found out in the last couple of weeks that we've been shortlisted in a couple of different awards smile The first one is the Shop of the Year Award. Previously forming part of the Great Taste accreditation scheme, Shop of the Year has evolved to apply an even more rigorous and robust judging process dedicated solely to retail. Celebrating delis, farm shops, cheesemongers and more, Shop of the Year offers independent retailers a chance to achieve a stamp of approval with real integrity, much like Great Taste does for food and drink products. We have to wait until September to hear the results so it's fingers crossed until then! The second award is the Great British Cheese Awards. This one is voted for by members of the public so we were hugely pleased to have been shortlisted. It's so lovely that one of our wonderful customers nominated us and then serveral people have voted. 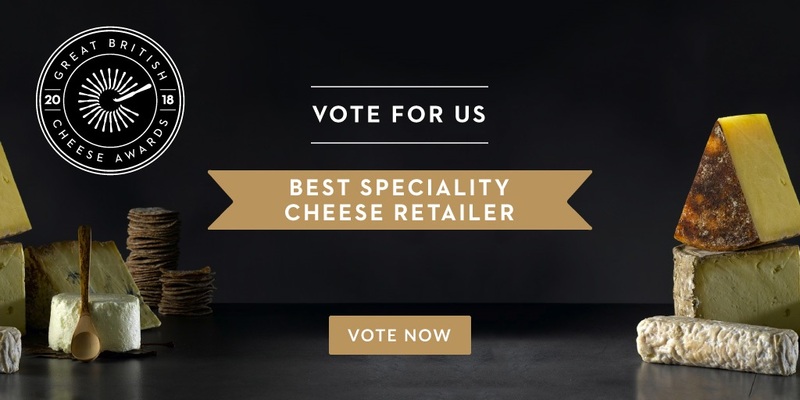 It's not too late to register to vote so if you have a couple of mintes to visit www.greatbritishchefs.com/cheese-awards/voting we would be eternally grateful. The finalists are announced in September with the winners unveiled in October so we will keep you posted! What can I say about this week at work? Ali and I attended the World Cheese Awards last weekend - they were being held in London at Tobacco Dock. The venue was incredible, just an amazing use of an old building and it had been renovated to an incredible standard. We were there to help to judge the 3000+ cheeses that had been entered into the Awards. That in itself was a great experience for us as we had to taste 45 cheeses per judging group and award medals to the best cheeses on our table. I was judging with Carlos & Mark who had both been involved in judging previously, indeed Carlos went on to be one of the final judging panel who ultimately decided on the winning cheese. We were really pleased when the winner was announced as it’s a cheese that we had tasted a couple of weeks previously and had decided to stock in our counter. 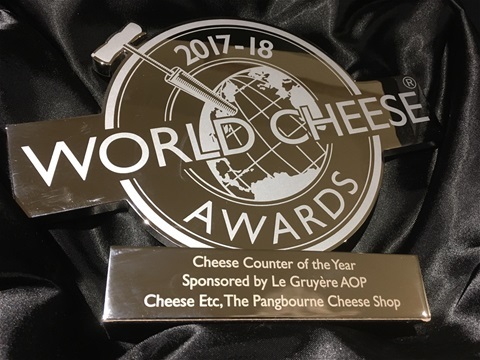 The next morning I was back in the shop, promoting the Awards and showcasing the various winners that we sell when I found out that we had won the Cheese Counter of the Year at the World Cheese Awards. The competition is sponsored by Le Gruyere which again is one of our most popular alpine cheeses so it’s always in the centre of our continental display. 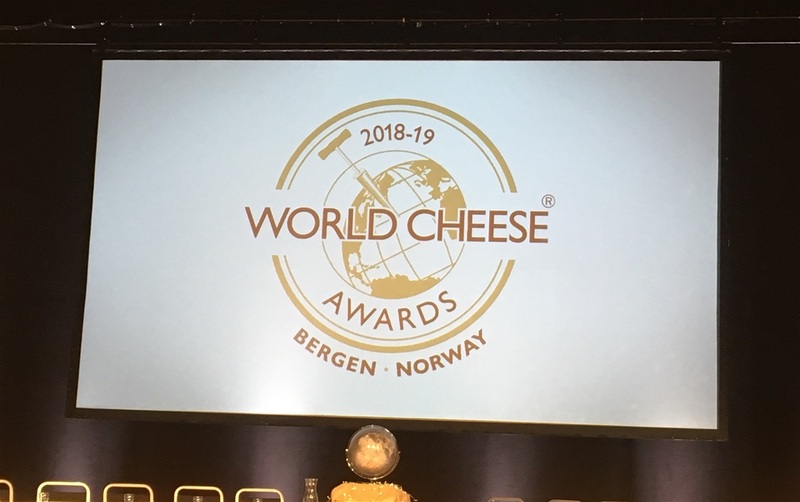 We entered the competition back in June and the head judge had been put to pay us a visit but we hadn’t heard anything further and I’d forgotten that the winner was announced as part of the World Cheese Awards. As you can imagine it’s been an absolute whirlwind of excitement in the shop with various local news outlets wanting to come in and meet the team and see the counter. Ali and I are so proud to have such an incredible, dedicated staff and the award is recognition of everyone involved in the shop. I’ve been doing some quiet reflection and am already thinking of ways we can improve and how we are going to push on over the next 12 months. I love the shop, I love the cheese and I am thirsty for more knowledge, both about cheese and the dairy industry y as a whole. Ali and I are very keen to progress through our Master of Cheese qualification and I’m in the process of writing notes on continental cheeses that we don’t have stock so I can recommend some to be introduced into the counter. Those that know me best will not be at all surprised to hear that I’m moving on to the next challenge and that I’m not happy to sit back and relax! So what’s new? Our online shop has proven very popular, we haven’t really begun to publicise it beyond my blog but we’ve got orders flowing in and it’s so lovely to be able to share our cheeses with a wider audience. But we are approaching that mega hectic time of year and the shop has been slowly turning more and more Christmassy as we get in all of our gift ideas. I try to get to 1st December before we get too festive, although the other shops in the village have got their Christmas decorations up already! I think that’s pretty much bought things up to date although everyone that reads my blog regularly (well as regularly as I mange to update it...) will know that I’ve been biding my time before I can get back onto the treadmill. Well the inevitable passing of time meant that my 6 months were up last week and yes I was in the gym and on the treadmill as soon as I got home from work! It’s a slow plod and I’ve had to adjust my running style as my gait has completely changed but I’m building it up slowly and it is just such a relief to be able to do it. It might not be as news worthy as the Cheese Counter award but for me it is almost as big a celebration! 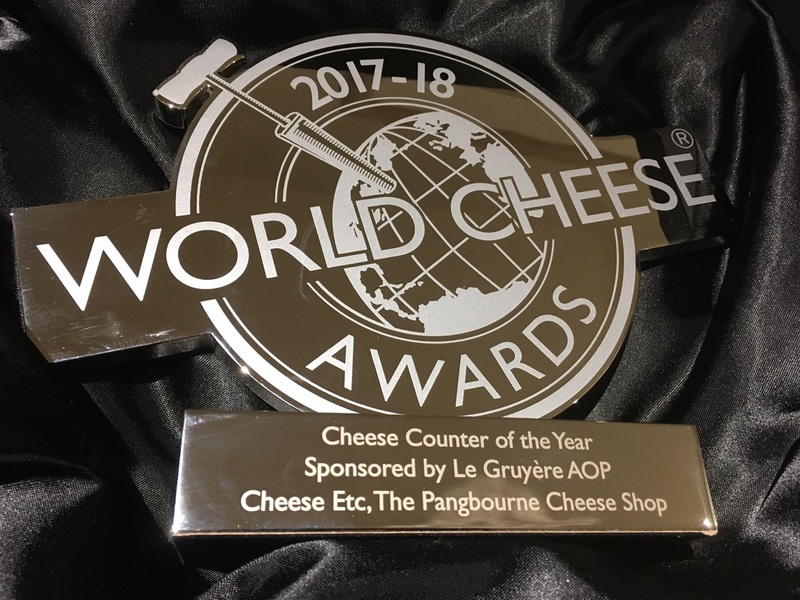 Ali and I are so please to announce that the Pangbourne Cheese Shop has won 3rd Place in the Cheese Counter of the Year Awards 2016, sponsored by Le Gruyere AOP and judged by The Guild of Fine Foods. This is an amazing result in our first year of owning the cheese shop. I personally am just so proud of the team as they have all worked incredibly hard over the past 12 months to improve the quality and range of cheese that we offer our customers. We have a close relationship with our cheesemakers, collecting many of their cheeses from the farm gate so that we can offer our customers a direct link to the producer. We are passionate about selling great cheese and have applied this philosophy to our other goods too, whether it is fantastic British charcuterie and pates or home-made chutneys and cakes. Whilst there has been a cheese shop in Pangbourne for 11 years Ali and I bought the business last year and have slowly begun a transformation to try and turn it into a top class independent retailer. We are only a short drive from Newbury and Reading and now customers are seeking it out from further afield too which is just so excitingly gratifying. It is a real gem where you can try most cheeses before you buy and then construct a perfect cheese board. Whether our customers want a slither of cheese for a picnic, a magnificent cheese tower for a party or a gift box made to order, we try our absolute best to satisfy their needs.